Beer, wine, and liquor all contain alcohol. If you are drinking any of these, you are using alcohol. Your drinking patterns may vary, depending on who you are with and what you are doing. You probably already know that drinking too much can cause many health problems. But even responsible drinking patterns can lead to health issues and other problems in your everyday life. Bleeding from the stomach or esophagus (the tube the food travels through from your mouth to your stomach). Swelling and damage to the pancreas. Your pancreas produces substances your body needs to work well. Damage to the liver. When severe, liver damage often leads to death. Cancer of the esophagus, liver, colon, head and neck, breasts, and other areas. Even responsible drinking can lead to high blood pressure in some people. If you already have high blood pressure, drinking can make it harder to control with medicines. Using alcohol for a long time can lead to high blood pressure, which can then cause the heart to weaken and become enlarged. Alcohol can affect your thinking and judgment each time you drink. 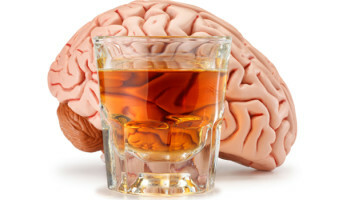 Long-term alcohol use damages brain cells. This can lead to lasting damage to your memory, thinking, and the way you behave. Numbness or a painful “pins and needles” feeling in your arms or legs. Problems with erections in men. Leaking urine or having a hard time passing urine. Drinking during pregnancy can harm the growing baby. Severe birth defects or fetal alcohol syndrome (FAS) may occur. First, ask yourself what type of drinker you are? Even if you are a responsible drinker, drinking too much just once can be harmful. Be aware of your drinking patterns. Learn ways to cut back on drinking.